Some kids get all the breaks. Some don�t. 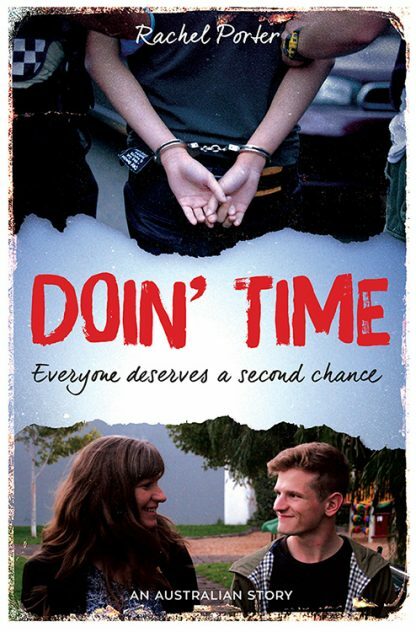 Doin� Time tells the stories of nine men who got offered a second chance and grabbed it. Facing up to their troubled, sometimes criminal pasts and the impact their actions have had on their victims, they have overcome many obstacles to become valued members of the community. Many of them now work with vulnerable young people, to give back, as mentors or welfare officers, motivational speakers and community leaders. Alongside their inspiring stories, those who work with young people who are at risk or have offended � Victoria�s assistant police commissioner, former child safety commissioner and outreach workers, program managers, a psychologist and lawyer � analyse the enormous impact drugs and abuse, dysfunctional parenting and unsympathetic education have had on the lives of our children and describe the wonderful and effective programs and organisations that are working to make them healthy and reconnected to the community. Rachel Porter is general manager of Whitelion, a charity supporting thousands of vulnerable young people across Australia. She is on the board of Family Access Network and is an Australia Day Ambassador. She has been involved in the not-for-profit sector for over 20 years, working with various children�s causes, including World Reconciliation Day events with Nelson Mandela. Rachel has been recognised for her charity work as a finalist in the 2009 Australian of the Year awards and receiving the Patch Adams Humanitarian of the Year award in 1999.